Edit: PDF export feature was added to Data Studio in Oct 2018. Read more about that in my followup article. PDF export is probably the most requested feature for Data Studio on the official feature request tracker. And as of Aug 2018, there isn’t any native PDF export option in Data Studio. So, no, you can’t directly export PDFs from your Data Studio report. But do you really need to? Let me explain why I think PDF reports aren’t always a good option. PDFs let me share my dashboard with stakeholders and higher ups. PDFs give me more control over who I can share the dashboards with. PDFs are easier — people do not have to log into their Google account. I email out regular updates of sales or other KPI. I want to send out monthly snapshots. I want to keep static records. Let’s see if we can resolve the core requirements behind these use cases without using PDFs. 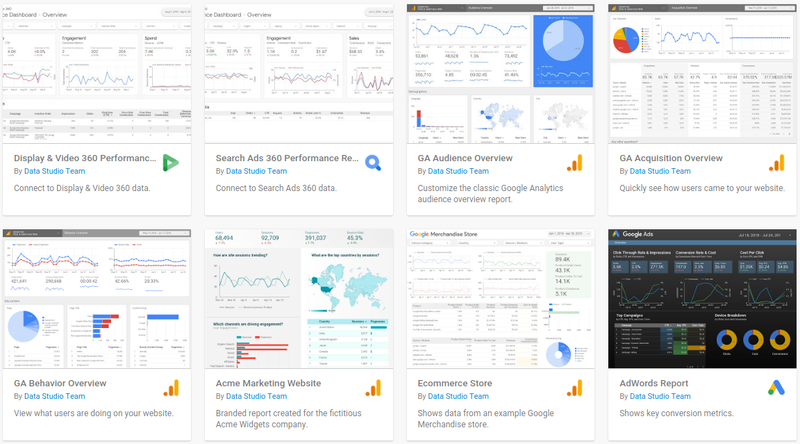 If you want to share your dashboard with your stakeholders, simply share the Data Studio dashboard. Since Data Studio is free to use, you do not have to worry about additional costs. There are no headaches around serial keys, Client access licenses (CALs), license seats, and figuring out who can view your dashboard and who cannot. Share the dashboard with your stakeholder’s email address and let them explore the dashboard on their own. In an enterprise environment, you can share the dashboard with a selected group of email addresses. If you have multiple dashboards to share and interact with certain groups frequently, create a Google Group. Add the emails to the group, and share your dashboard(s) with the Google Group address. If your organization uses G Suite, you might already have existing groups or you can create the groups on your own domain. This makes it faster and more secure for you to manage the users. Your organization might not be using G Suite. At the same time, your users might not always be logged into their Gmail accounts. You can enable sharing by link for your dashboard. Then, you can give the link to your users and they will not have to log in to view the dashboard. Here you can see the total sales for the year and use the filter on the top left to see a monthly view. The awesome thing is, I can create links to a specific month’s view and share those links with others. Try one of these out: January, August, September. This way, folks can open the link and immediately see the data for the relevant month. But if they want to explore a bit more and see the other months, they don’t have to dig into their emails to find the last month’s PDF. They can simply edit the filter and view whichever month they want. You don’t have to create this dashboard every month. You can update the data at the source and send out the updated link. I think creating PDFs from dashboards violates the One Version of the Truth principle. You end up with a lot of PDFs with static content in the wild that you don’t have control over. You data might have been updated due to prior errors, or change in methodology. These updates won’t get pushed out to what people have in their emails. A dashboard based on fixed data sources ensures all your stakeholders are always receiving the most updated version of the data all the time. So that’s it? No PDFs? Well, no. There are use cases when PDFs are good options. One good example is offline exploration. But for that, you can always use your browser’s PDF printing option to save your dashboard pages to PDFs. And hopefully the Data Studio team will provide an option for exporting PDFs. But in all cases, I recommend you move away from PDFs and share the dashboards directly with your stakeholders. This brings folks closer to the data, saves your time, and is a sustainable solution. Edit: Read my follow up article to know more about Data Studio’s new PDF export feature and use cases for PDF.